Do you have a special date tonight? Or your best friend’s wedding is on next month? But you are a victim of dry hair, and you do not want to go parlor and apply chemicals on your hair? Then congratulation, you have come to the perfect place. 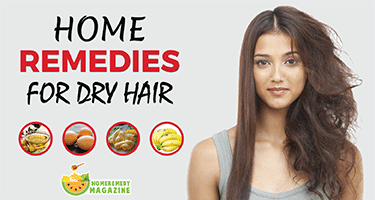 Today in this topic, a top six list of home remedies for dry hair will be revealed. 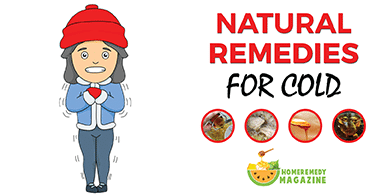 However, nutritional shortage or other illness can cause dry hair. But not anymore. Follow the remedies of the list and you will be able to get rid of your dry hair. Olive oil is the most effective and most popular home remedy for dry hair. Olive oil contains Vitamin E and other antioxidant contents that repair your damaged hair. Hot oil treatment of olive oil is very effective to make your hair shiny and silky. Take olive oil in a cup respectively by the length of your hair. Slightly warm up the oil in a microwave. 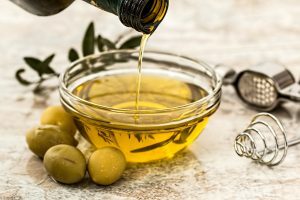 Apply the hot olive oil over your scalp and hair. Continue the massage process for ten minutes. Cover your hair with a warm towel for at least thirty minutes. For getting the best result leave the towel on your hair for overnight. Now apply shampoo and conditioner that are suited for your hair type. Note: You need to do this at least once a week. Hot oil treatment also can be done with coconut oil, jojoba oil, corn oil, castor oil or almond oil. Eggs are very helpful natural remedies for dry hair cure. The natural source of lecithin and protein that are present in the egg repair your damaged hair and give it strength. The egg can make your dry hair shiny and soft. Take an egg white in a bowl and mix two tablespoons of lukewarm water with it. Now whip the mixture for five to ten minutes. Now apply the mixture over your scalp and hair by using your fingertips in a circular motion for fifteen to twenty minutes. Apply cold water with shampoo to remove the egg wrap from your hair. Note: Use the method twice a week. 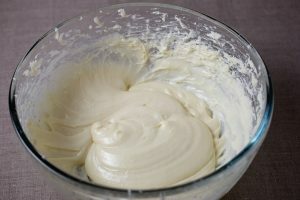 Mayonnaise is an excellent process to treat your dry hair naturally. It contains plenty of protein source that makes your dull hair shiny and soft. Take a cup of mayonnaise. Apply water on your hair to make it wet. Now apply a thick layer of mayonnaise over your damp hair. Massage the mayonnaise over your scalp and make sure the mayonnaise come in contact with your hair from one end to another. Cover your hair with a plastic cap and leave it for an hour. Wash your hair thoroughly with warm water first. Now use shampoo to wash it again. Note: You need to repeat this method at least once a week for making your hair soften and hydrate. Drinking a glass of beer helps to make you feel tension free and better. However, the protein that presents in beer can repair your damaged hair. Beer can work as a great hair conditioner that can make your hair smooth, soft and shiny. Gently use shampoo for washing your hair. Spray a small amount of beer into your hair. Allow your hair to dry on its own. After your hair gets dry, it will look smooth and shiny automatically. Note: Letting your hair dry automatically will not lead to remain the smell of beer on your hair. You can also apply beer on your hair before making any particular hair style. Bananas are excellent home remedies for dry hair. The protein and potassium present in banana prevent your hair from dryness. Meanwhile, it improves elasticity and softness of your hair. Mashed up one soft and ripe banana. Mix some Olive oil with mashed banana. Now apply it thoroughly on your hair from the root to end. Now leave it, for half an hour. Wash your hair with shampoo. You can also use cold water for washing your hair. Note: Apply this method on your hair at least once a week. Take a ripe banana and squash it well. 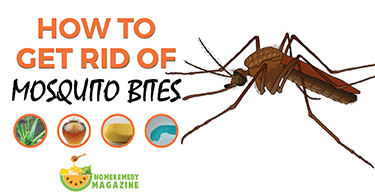 Now take two tablespoons of honey and one tablespoon of almond oil. Mix all these three ingredients together. Now apply the mixture as a mask on your hair and keep it for twenty to thirty minutes. After that wash your hair with water and shampoo. Use this method at least once a week for getting a soft, shiny hair. 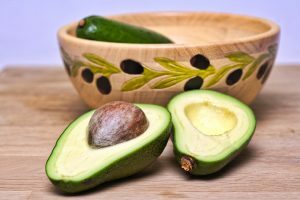 Avocado is one of the best effective home remedies for treating dry hair naturally. It contains Vitamin A and E, saturated fats, the various source of protein and other minerals. That is why using avocado is highly beneficial to repair your damage hair. It also moisture your hair and make it shiny and smooth. Take a ripe and peeled avocado. To make a smooth paste, mix jojoba oil and wheat germ oil with it. Apply the mixture on your hair and scalp with your fingertips. Now cover your hair with a plastic shower cap. Now leave it for half an hour. Now wash your hair with shampoo and lukewarm water. Note: Do the method at least once a week for getting the best result. So these are the six best home remedies for dry hair treatment. Do not use all the DIY treatments at the same time. Use only one that suits you most. Just in case you are not getting a remarkable result, then you can switch to other remedies from our home remedies for dry hair treatment.